The way your garage door is aligned will have a lot to do with how it’s repaired when or if a problem occurs. Unless you have a carriage-style garage door, your door will have two runs that move from the floor to the ceiling. Then, they’ll go horizontally parallel to the garage ceiling and floor. The door runs are housed in a track-one on each side of the garage door. An older garage door, or an overused one, can easily become unaligned. A slight bump or loose hardware can cause problems such as a crooked or off-balanced door. Wear and tear can also cause the door to rub up against the stop molding, making it difficult to maneuver. Or there may also be a large gap of space between the stop molding and the door. Any of these situations indicate that one or both garage door tracks need to be realigned. A garage door that’s out of alignment can be very dangerous. An out-of-balance door can close too quickly, fall off the tracks and create a potential hazardous situation for kids and pets. A jammed door can cause your car to become locked inside the garage, while a door that won’t close and lock leaves your home vulnerable to burglars. A crooked or off-balanced door is easily noticed. It won’t magically straighten itself, and if not fixed the situation will get worse. Here are two solutions to solve the issue. The springs and cables are the key components to a garage door with tracks. Check to see if there are jumped cables. If so, repair or replace them immediately. If the cables have become wound around themselves and something is bent, a professional repair is required. If the tracks are warped or worn out, repair or replace them. Also, remove any debris that could be obstructing the movement of the door. If the door is sticking in certain spots, don’t use grease to try to help the situation. Grease can ruin the way the door operates and can be dangerous. If a garage door is difficult or impossible to move up and down, it’s considered to be bound. You can use a screwdriver to loosen the screws that are in the tracks to secure it to the garage door frame. Adjust the position of the track by tapping the bottom gently with a rubber mallet. Then, use a level to ensure the track is straight up and down. Once the track is aligned properly, tighten the screws. Repeat the process to the other track. Use a wrench to loosen the bolts on the track that secures the lower track. Take the tracks and move them to one side so that there’s only a ¼-inch gap or less. A small gap lets your garage have air circulation. Repeat the process for the other tracks. Using a wrench, tightly secure the bolts and ensure they stay in place. The wood or metal on the garage door can become rotted or damaged due to weather or age. The doors can be replaced if needed. The hinges and springs are the hardware that’s often affected by weather and age. Both can easily be replaced. If your garage door is older, the parts may no longer be available, and a new garage door may be required. If you need a new garage door, Feldco is the place to go in Madison. We’ve been serving the Midwest for over 40 years and would love to help you find the perfect garage door for your home. Get a free quote now and get started today. Garage door alignment problems can happen in a variety of ways and cause a lot of frustration. Fortunately, most problems are easily solved. As a homeowner, you know the importance of maintaining different areas around the house. Garage doors are no exception to routine inspections and maintenance. As a homeowner you should know how well all the parts of your garage system are working. Make it a priority to inspect and maintain the garage doors on a regular basis. If you check on them frequently, you’ll learn more about them each time. You’ll notice dents in the doors, strange noises it may be making or signs of wear and tear. Weather, wear and tear and dents can cause garage doors to slide off tracks and seals to be broken. The bottom of the door is how unwanted water and animals stay out and what helps ventilate the space. Over time, it can lose strength due to harsh weather. Some garage door problems require more attention to detail to be noticed, such as the tracks. Apply special lubricant or oil every month to help strengthen the metal on the tracks. You can also apply lubricant to the hinges, springs and rollers to prolong the life of your garage door. Cables can becomes loose or damaged over time. If your remote randomly stopped working or the door connected to a light hasn’t come on, then you’ve experienced this before. To help prevent cable malfunctions, repair one cable instead of the entire system. Unless you have experience working with cables and motors, call a professional for cable work. Overtime, garage doors have trouble opening and closing and something becomes off-kilter. The opener will work overtime trying to align everything and then the entire system will be vulnerable to double-duty lifting and pulling. Double-duty work results in roller malfunctions and broken lift cables. 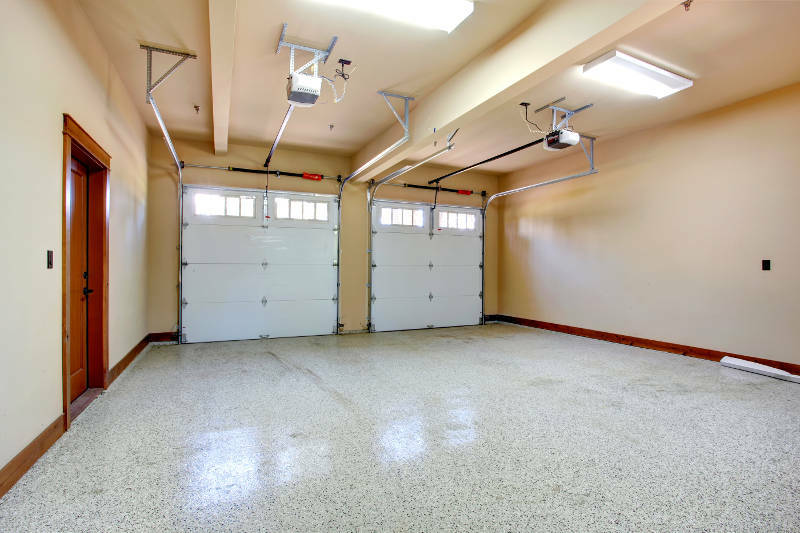 All the important qualities of your garage doors are probably made of metal. One of the worst things that can damage metal is rust. If your home is in a humid climate, a heavy snowfall area, or an area that collect dust easily, then it’s at high risk for rust. Proper ventilation can help fight rust, but it’s still important to wipe everything down. Fortunately, it usually only takes a few minor adjustments and regular maintenance to keep your garage door working correctly. Feldco is here to help you get the perfect garage door for your home. Our experts will measure your garage door opening and work with you to create exactly what you need. Get a free quote now and see why over 350,000 homeowners have trusted us with their home improvement projects.